I am so incredibly stoked to tell you my awesome news! 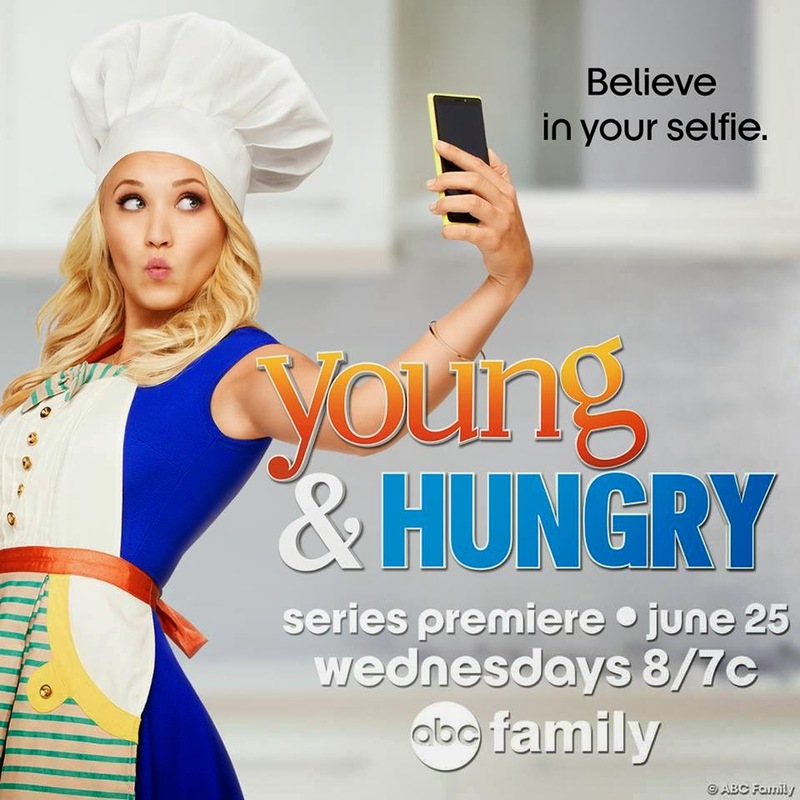 My little ol' blog has been invited to participate in a special blogger challenge hosted by ABC Family in honor of the premiere of their new series Young & Hungry starring Emily Osment! Let's just let that simmer for a minute. Because the awesomeness of this is almost too much for me to take. Friends, ABC Family sent me an invitation email. How cool is that? My jaw about hit the floor when I read it. Not only because it sounded like super fun, but (hello!) a national television network sent me an exclusive email that was only sent to a handful of selected bloggers chosen to help promote what looks like a super fun new series. What does this new series have to do with me, the food blogger? Young & Hungry is loosely based on the life of real life food blogger Gabi Moskowitz of the blog BrokeAss Gourmet. So you see, a Food Blogger Challenge makes perfect sense! I will be participating in six challenges competing with the other bloggers to have my blog, The Two Bite Club, mentioned in an episode of the show! Again, how cool is that? 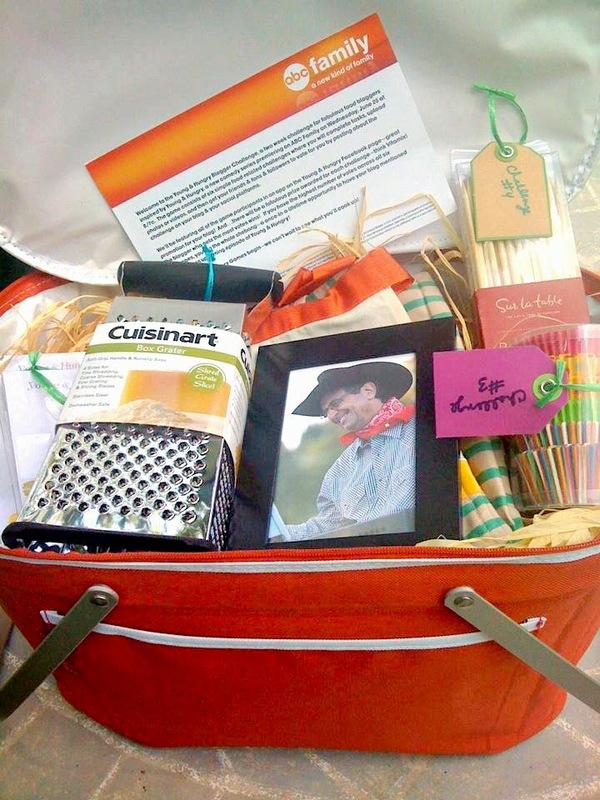 There's notepads, skewers, cupcake liners, a grater, a picture frame, an apron just like Gabi wears in the show, and a note telling me the last challenge is a surprise and I will be getting something else mailed to me! All of it was tucked inside a gorgeous insulated picnic basket. Exciting! I'm off to get this thing started! Woo-hoo! Congratulations! This is awesome news!